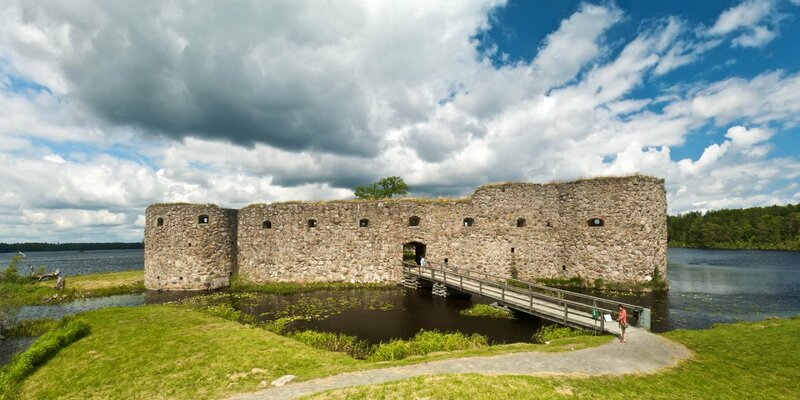 Hultaby Slottsruin is the ruin of a 13th-century castle. 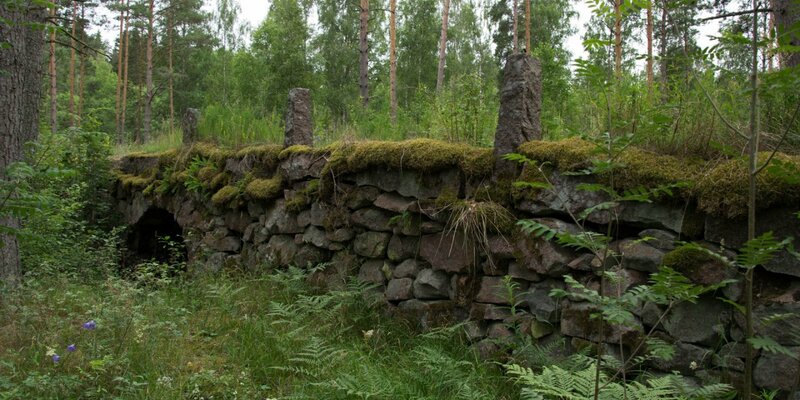 It stands on the shore of the lake Norrasjön, less than two kilometers from the western outskirts of Vetlanda. 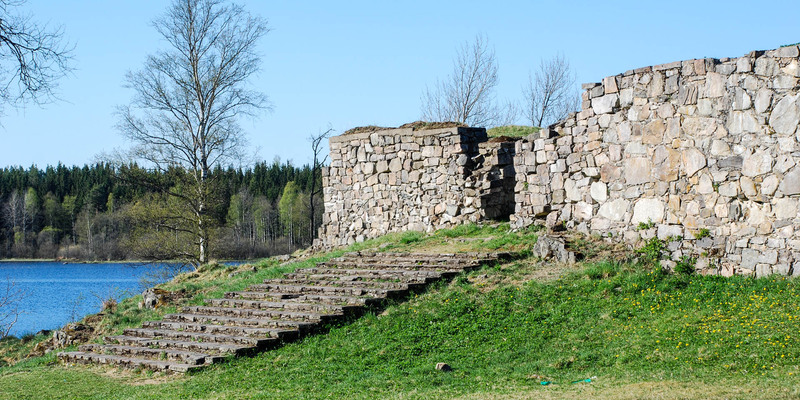 The Hultaby Slottsruin is strategically located on a natural promontory on the south bank of the Norrasjön, directly at the inlet of the Emån, which was navigable in the Middle Ages. The former inner courtyard of the ruin has a nearly square floor plan of 30 by 28 meters and was surrounded by a thick, about five meters high fortification wall, which is still preserved in some areas. Approximately in the middle of the complex you will find the remains of the brick ground floor of the otherwise wooden main building. In the northern corner are the remains of a brick cellar, which belonged to a long-gone round tower. To the main entrance of the inner castle leads a broad staircase with steps made of slate slabs. It is generally regarded as the first and oldest splendid staircase in Sweden. On the site in front of the southern fortification wall was the outer courtyard, which, as the remaining foundations prove, was surrounded by a total of eight residential and commercial buildings. There is also the old well of the castle, which still carries water. Archaeological investigations in the 1930s date the emergence of the castle to the period around 1250. 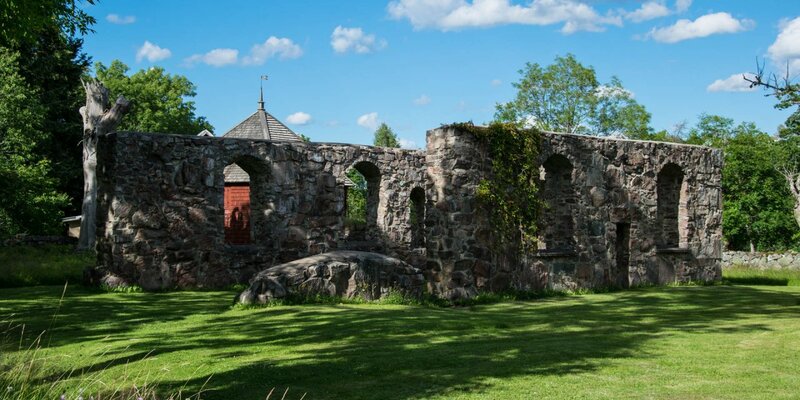 However, first mentioned in writing it is only in 1353 as the seat of the Imperial Council and Knight Erengisle Sunesson from the now extinct noble family Bååt. Erengisle Sunesson was at that time one of the most powerful men in the kingdom. He and other members of the high nobility prepared the overthrow of King Magnus Eriksson. The revolutionaries, however, were forced to flee to Germany, where they offered the Swedish crown in 1363 to Duke Albrecht III of Mecklenburg, the nephew of Magnus Eriksson. In the course of the following German invasion, Hultaby Castle was most likely burned down. But it can not have been completely destroyed at this time, since Erengisle Sunesson wrote his will in 1392 on Hultaby. The ruin was preserved in the 1930s and 40s and has since become a popular tourist destination as well as a regular venue for medieval games and markets.